Meet KAVES, band leader, tattoo artist, community activist. 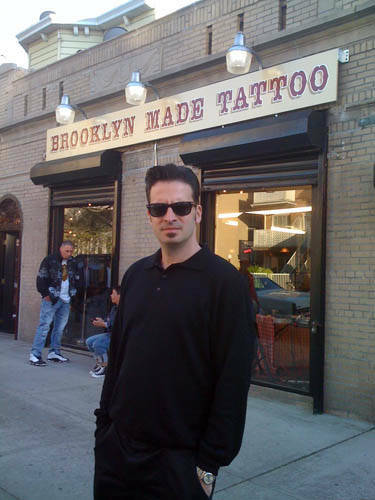 Back in April, I attended a jumpin’ party at “Brooklyn Made Tattoo” in Bay Ridge, Brooklyn. The proprietor KAVES aka Michael McLeer (“mezza Irishese” as we used to say before we all learned “good Italian”) threw the shindig to launch a new line of “Made in Brooklyn” Pony sneakers.